It’s a great idea, which could be even better by including wind, solar and geothermal. Economics professor Andrew Leach has a lot on his plate. In late June, Alberta Premier Rachel Notley appointed Leach as chair of a new climate change panel that will advise her government on energy and climate policies ahead of December’s big UN climate gathering in Paris. Notley plans to be the first Alberta premier to attend the annual gathering, and she’s making sure she comes armed with a meaningful and effective action plan. Leach, who is director of natural resources, energy and environment programs at the University of Alberta’s School of Business, will spend the next weeks and months gathering and weighing ideas with an eye to rebalancing the province’s environmental and economic objectives. “It’s only mildly terrifying!” Leach half-joked in an e-mail message shortly after announcing his appointment. Since then, it’s been amusing to follow him on Facebook. “Never has my inbox been so filled with amazing, yet heretofore unknown solutions to all the world’s energy problems,” Leach wrote, tongue firmly planted in cheek, on July 2. Some have very little to do with climate strategy. “If I answered everyone who wanted to send our garbage to space, I’d have no time for anything else,” he posted three days later. But be certain, there is a lot of serious thinking going on behind the scenes. One company that has been taking the challenge to heart is ATCO Group, a major owner and operator of transmission and power generation assets in Alberta. Siegfried Kiefer, chief operating officer of ATCO’s power and utilities division, gives a clear sense of the company’s thinking in an essay that appears in its 2014 annual report, released in March. Kiefer points out that ATCO invested $6.4 billion in new utility infrastructure between 2012 and 2014, including a new Eastern Alberta Transmission Line that, when operational this year, will reinforce the backbone of the province’s grid. 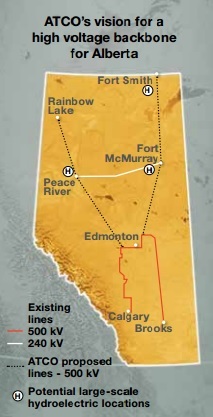 Another line is being built that will link the west of Edmonton to Fort McMurray, which is the heart of the province’s oil sands. But how will the province get there? At the moment, Kiefer writes, the plan is to rely more on natural gas generation as a way to renew more than 10,000 megawatts of generation over the next two decades –about 6,500 megawatts of that within the next 10 years alone. The current forecasts are that three-quarters of the province’s power generation will come from natural gas by 2034. That scenario doesn’t sit well with Kiefer. As a province, we must take a step back and evaluate the best options for Alberta’s future and understand the implications of not diversifying our base load generation mix. Hydro generation is emissions-free and offers unmatched opportunity for Alberta to achieve reduced GHG emissions, while creating a “Green Corridor” stretching along the east side of the province. Although much more capital-intensive and requiring government and regulatory policy support, hydro offers payback through sustainable power rates. It is a fuel source that is not at the financial mercy of a North American commodity market. Hydro can also be an important water management tool, allowing better control during periods of high flow to prevent farmland flooding and to protect communities, such as Peace River and Fort McMurray. To succeed, we must create regulatory certainty and efficiency and a viable commercial framework for financing. We need Indigenous participation, consultation and true partnerships that provide northern growth and job opportunities. In Alberta, three high-quality projects immediately stand out—a minimally invasive run-of-river 1,800 MW facility on the Slave River and a more traditional 1,500 MW facility on the Athabasca River, near Fort McMurray. The Peace River could also be used to generate 1,500 MW of green power. Alberta, with appropriate foresight and firm political will could, within two decades, end up with just under 30 per cent of its power needs met through hydro generation. The price volatility of natural gas would be mitigated. Add to the mix significantly increased cogeneration, where excess steam generated from other industrial processes is used to produce electricity, and the province could report an exceptionally positive environmental story as coal generation is phased out. For future generations, it truly is a story worthy of telling but it will take the cooperation and collaboration of all involved parties to achieve it. It is a once-in-a-generation opportunity and we should not miss it. Aiming to get 30 per cent of Alberta’s power from hydroelectric generation is not only doable, it makes incredible sense. 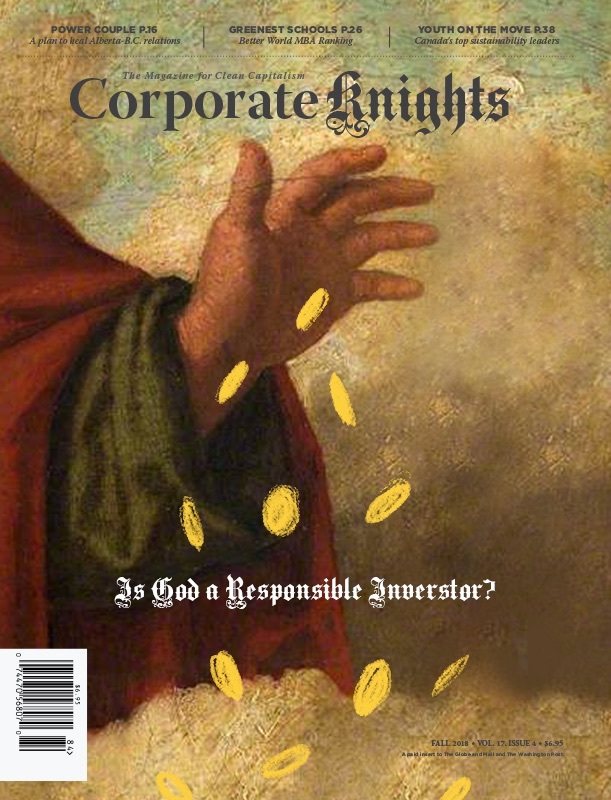 That one of Alberta’s biggest and most influential utilities is making this pitch is good news, but more importantly, ATCO appears ready to hit the ground running; it has already scoped out the low-hanging fruit and seems ready to forge ahead. As Kiefer rightly points out, betting on natural gas is a dangerous gamble, even if it seems a safer bet compared to coal. A Carbon Tracker report released last Monday looks at the financial risks – and related climate risks – of natural gas capital expenditures over the long term, and the outlook isn’t rosy. Fact is, there continues to be tremendous potential for low-cost wind development in Alberta, and with arguably the best solar resource in Canada, utility-scale solar power projects could easily add hundreds of megawatts to provincial supply. The Canadian Solar Industries Association estimates that with the right policies Alberta could get more than 1,000 megawatts of solar installed by 2022, creating 24,000 jobs and attracting $3.2 billion in private sector investment. Considering the installed cost of solar has fallen more than six-fold since 2005, there would be minimal, if any, need for subsidies – at least nothing compared to Ontario’s feed-in-tariff program. Canada’s wind industry, meanwhile, says that resource has potential to supply 20 per cent of the province’s power demand. Wind currently contributes 1,500 megawatts of capacity – nearly 10 per cent of total capacity – but accounts for less than 5 per cent of supply, so there’s a long way to go. Meanwhile, more people are waking up to the potential of geothermal power development in Alberta. Todd Hirsch, the Calgary-based chief economist of ATB Financial, says the province’s expertise when it comes to drilling deep holes (for oil and gas) makes geothermal power a natural extension of what it’s already good at. The province is “perfectly situated” to make it work, he recently said. CK has been beating this drum for a while now. Studies suggest Alberta has 120,000 megawatts of geothermal resource it could potentially develop. Even if only a small fraction of that is economically feasible, it can help beef up the renewable mix. Cherry-picking just 1 per cent would still lead to 1,200 megawatts. The message here is that hydroelectric power generation, as proposed by ATCO, may be a well-aimed silver bullet when it comes to decarbonizing Alberta’s grid, but it’s not enough to take down the fossil-fuel behemoth. 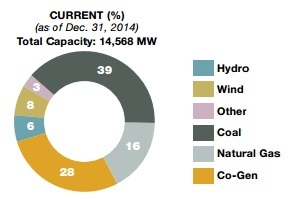 Silver buckshot – a mix of wind, solar and geothermal, all anchored by big hydro – is what Alberta really needs. Sending its garbage to space, on the other hand, falls a bit lower on the list of provincial priorities.